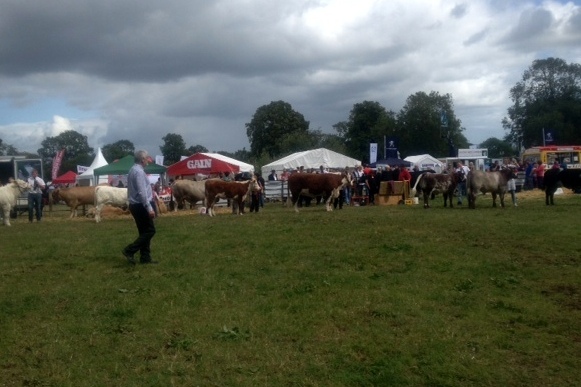 Tullow show took place on 17th August. There was an impressive line-up of Hereford cattle present on the day. 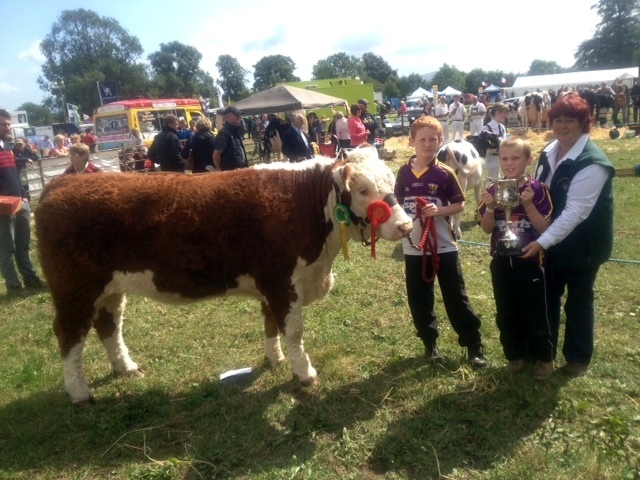 There was a large entry in the senior heifer class with seven heifers vying to win the St. Mullins Hereford Cup. 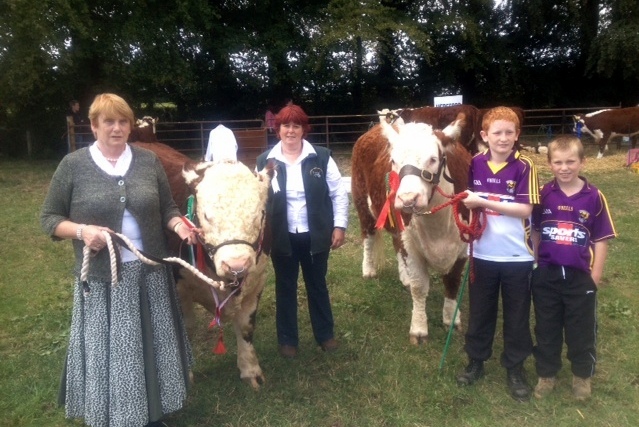 The Hereford judge Angela Armstrong, awarded the trophy to Conor and Padraig Jones with Clonroe Jacky. 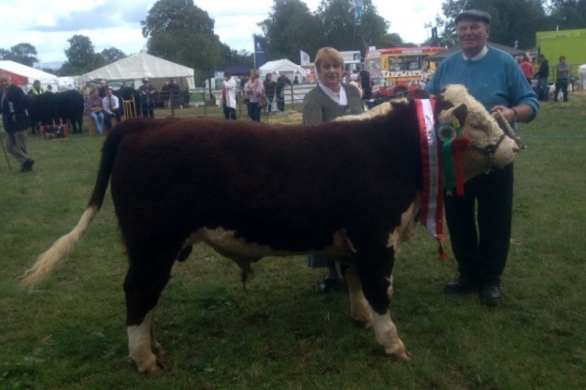 The Hereford championship was awarded to Henry & Mervyn Parr with their bull ‘Tourtane Jamsey Boy’. The Reserve Champion was awarded to John Jones with ‘Clonroe Jacky’. Pedigree Hereford Heifer born between 1st July 2012 and 31st June 2013 (St. Mullins Hereford Cup). Conor and Padraig Jones participating in the young handler competition.